A few weeks ago I presented at the second Digital Innovation Summit in Dubai at Jumeriah English Speaking School ( known as JESS). 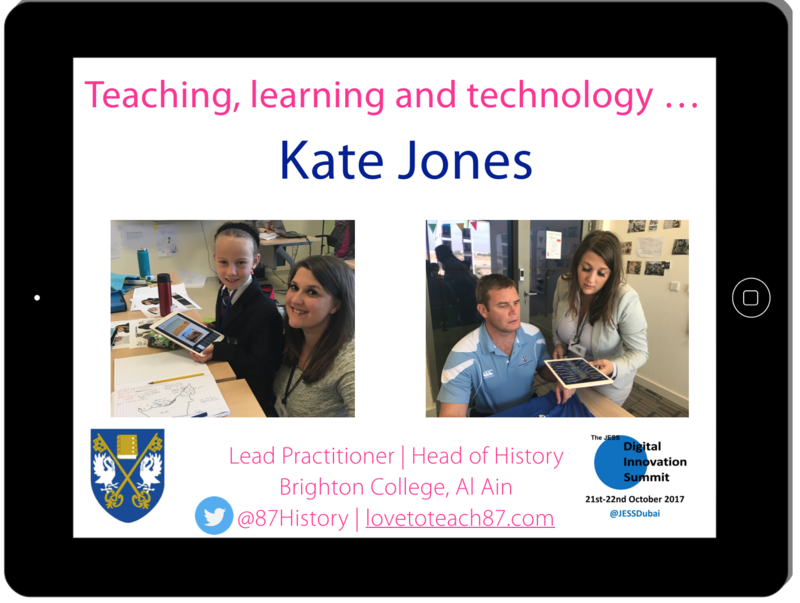 I have written an overview of the event that will be published in the upcoming edition of Education Journal Middle East (so apologies if this blog post seems self indulgent as it is just about my presentation which I didn’t refer to in the EJME article!). Many people have contacted me since my presentation to ask questions or provide feedback. I thought I would address any questions and share my slides for anyone who wasn’t able to attend my session or the event. 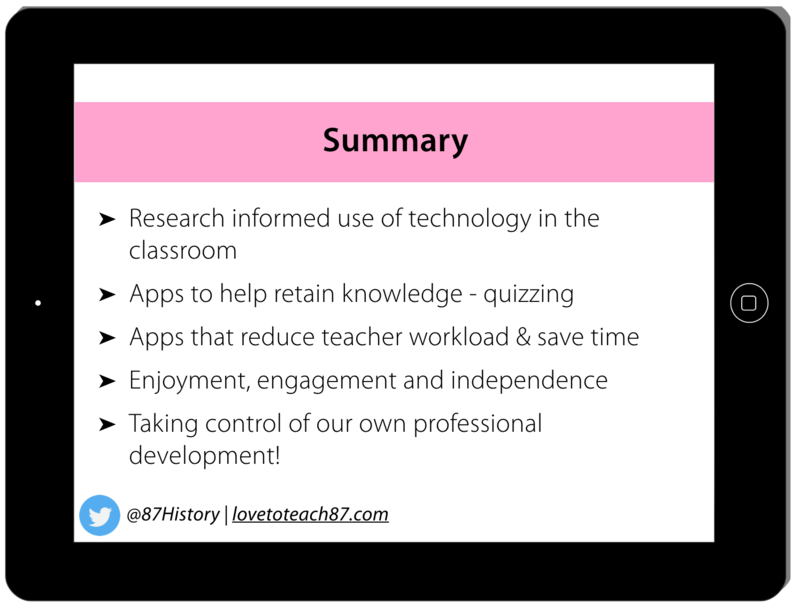 The title of my presentation was very basic – “Teaching, learning and technology”. I was worried no one would bother attending my session due to the boring title, as there were different streams at the same time so attendees had a wide range of presentations to choose from. I wanted my title to reflect my session and didn’t feel the need to have a jazzy title and luckily people did attend (phew!). 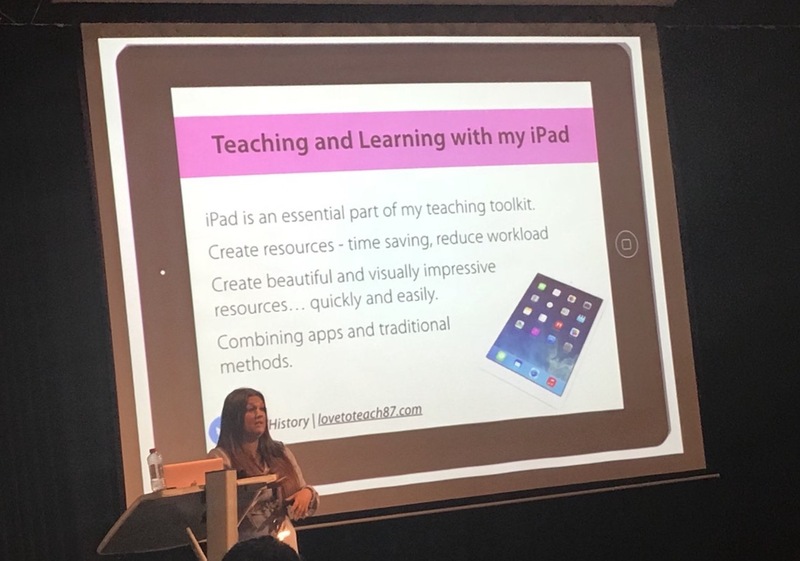 At the start of the event my friend, JESS Assistant Head and Summit organiser Luke Rees stated “this isn’t a tech conference – it’s all about teaching and learning”. I was really pleased when Luke opened with this because I’m not an “Edtech expert” with ambassador badges for every brand and company associated with technology. At my school we do use iPads but I never ever promote Apple or have any loyalty to them or any other brand/company. I am however, a teacher in the classroom using technology to support my teaching and my pupils learning. 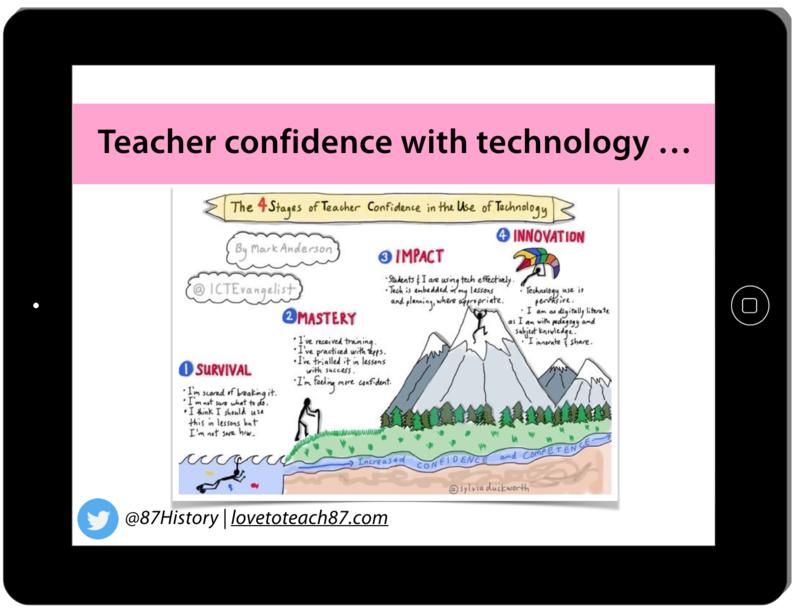 Once I decided I would share what I do in my classroom and strategies for professional development with technology then I felt happy about my presentation. This was the second time I was asked to present at the Jess Summit. In 2016 the event was absolutely fantastic, one of the best CPD events I have ever been to. I was able to watch a diverse range of speakers, including the keynote presenters Mark Anderson and Ian Yorston and it was a great opportunity to network and meet (for the very first time) educators from across the region. 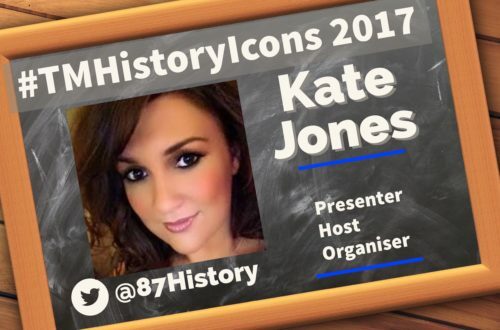 When host and organiser Steve Bambury asked me to present again I didn’t hesitate to say yes and was once again very grateful for the opportunity. I began my session this year explaining that I had created an entirely different presentation because 1. I’m not lazy! 2. 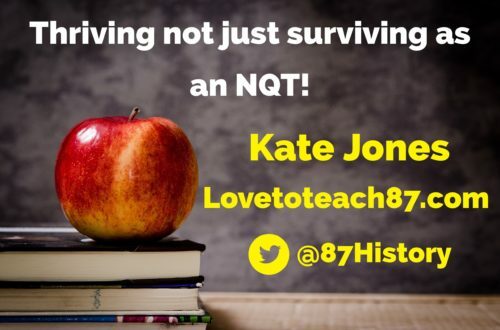 I am a very different teacher to the previous year and over the year I have learnt a great amount and I hoped to share that in my presentation. My session featured in the iPad stream ( other streams focused on Microsoft, Future Schools, an Arabic language stream and more!) but I made sure my presentation was not about my iPad. 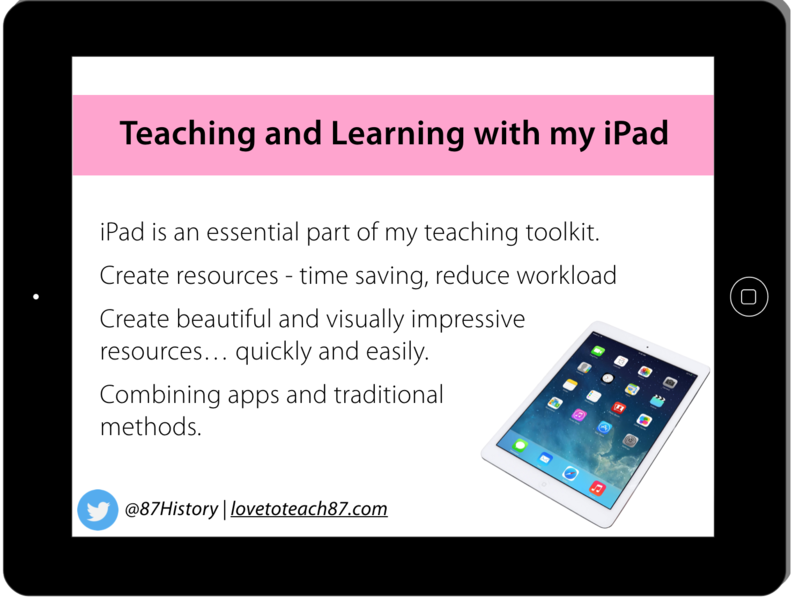 I discussed using technology to support teachers with their workload in a variety of ways as well as sharing some of my favourite apps for the classroom. Work load and wellbeing are essential – I know as I have experienced (like most teachers) the challenges and difficulties that can lead to exhaustion and burn out as a result of workload. Teachers need to be healthy and happy to be the best they can be for themselves and their pupils and technology can help and support us with this. Above are my favourite apps for quizzing in the classroom. 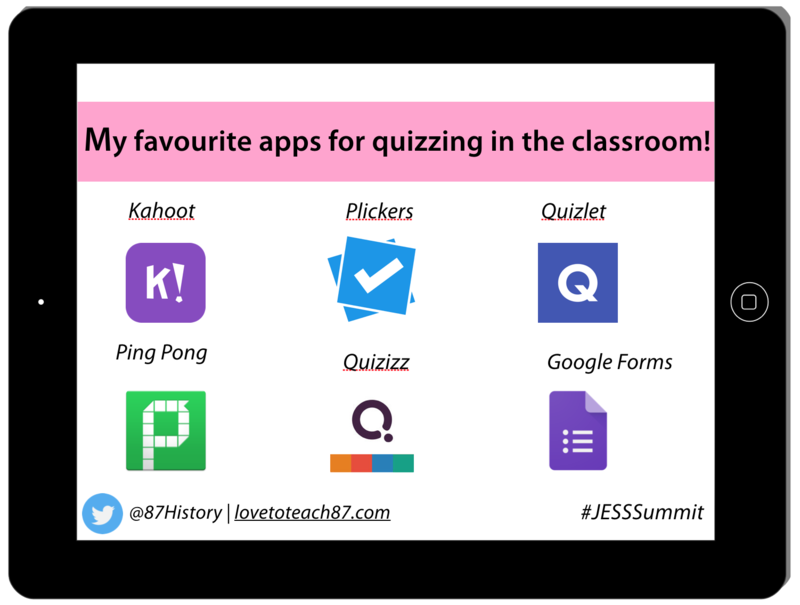 I discussed the value and impact of these apps on teacher workload as the apps and sites can store data, track pupil progress and there are even features – such as the Quizizz question teleport where teachers can source relevant questions from other quizzes to use with their classes. I also linked these apps to the Ebbinghaus Forgetting curve which shows us the decline of memory retention over time and how knowledge can be lost if there is no attempt to retain it. 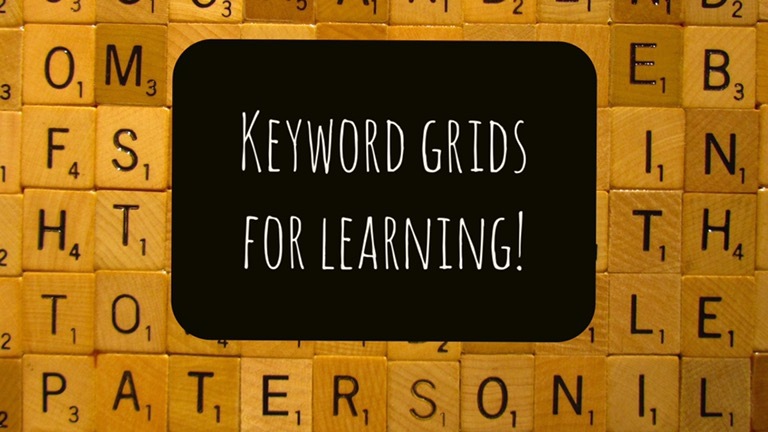 Therefore I regularly start my lessons with a quiz recapping what students have learned in previous lessons and the apps suggested above are great for this! I also carried out a live demonstration using my favourite quiz – Quizizz. I went onto discuss the importance of training and professional development to support teachers with their confidence and skills using technology in the classroom. There are schools that give iPads to teachers and inform them that the focus of their next lesson observation will be how the iPad is used to improve teaching and learning then leave them to it! There are of course many schools which do offer differentiated support to cater for all their teachers needs in regards to technology linked to the graphic above, TPACK and the SAMR model. 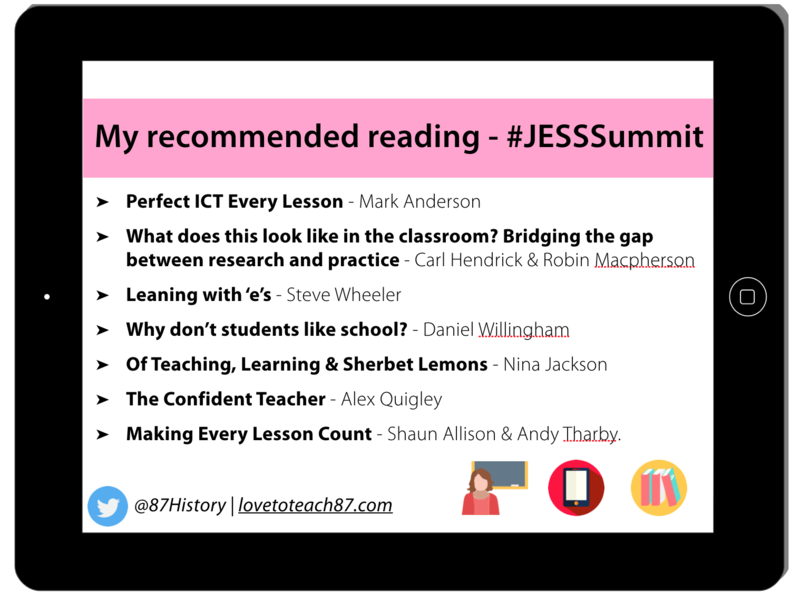 I do feel very confident using technology in my classroom but that is mainly due to my own research, reading and learning from others online and at educational events – including the JESS Summit! 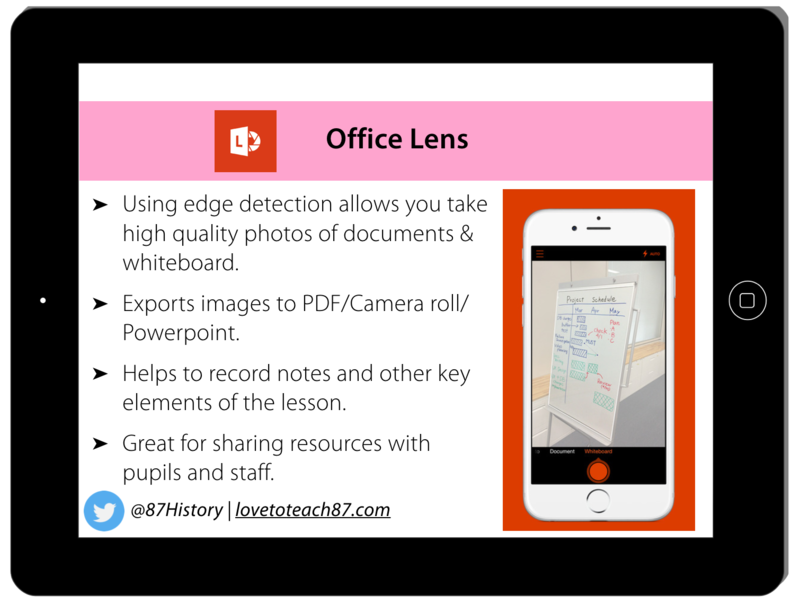 Office Lens – an app I regularly use in lessons was one of the apps I discussed in my presentation. 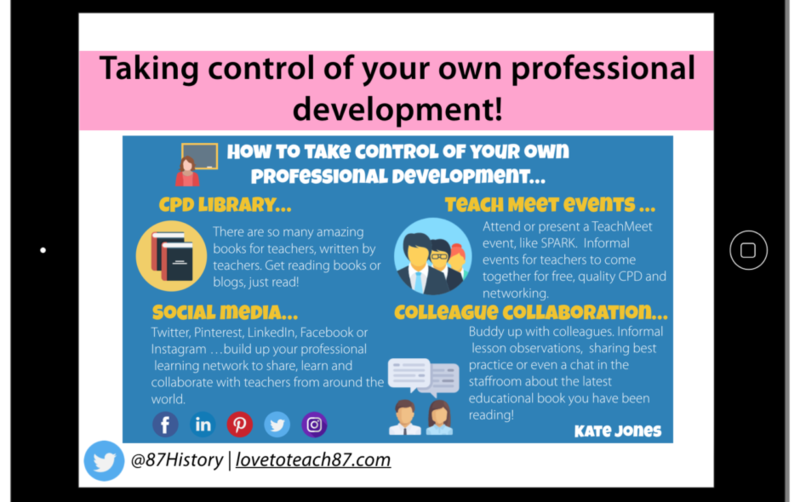 As previously mentioned, I feel I have progressed as a teacher over the last year – but I still feel I have so much more to learn and develop! One of the reasons for my increased confidence and progression is due to the reading I have undertaken. I read one or two educational books every month ( this can vary from pedagogy to subject specific in addition to reading John Grisham thrillers!) and I regularly write and post educational book reviews on my blog. I understand that teachers with other commitments that I don’t have, children for example, may struggle to read as much as I do but I do encourage all teachers to read when they can. I decided to share some of my favourite educational books from the last year. There were some books specifically linked to technology but not all of them – but they were all linked to teaching, learning and/or teacher wellbeing. A lot of people thanked me for sharing this, both at the event and online. Several teachers have since been in touch to let me know they have read the books I suggested and that they were very enjoyable, interesting, useful and so on. If I had to recommend a specific book for teachers wishing to develop their skills/confidence with technology then that would have to be Perfect ICT Every Lesson by Mark Anderson. Why don’t students like school? by Daniel Willingham is an outstanding book focusing on the cognitive science and psychology linked to learning and The Confident Teacher by Alex Quigley is simply a brilliant book for so many reasons! It was a real pleasure to recommend the books below and I could easily recommend many more. I really enjoyed presenting and attending other sessions at the JESS Summit in Dubai. If you are interested in finding out more about the event you can view the hashtag #JessSummit on Twitter or visit the website JESSDigital.com If you are based in the region then make sure you sign up for the event next year!